Take our free online hearing screening. It will help you identify if you need an evaluation by our audiologist. 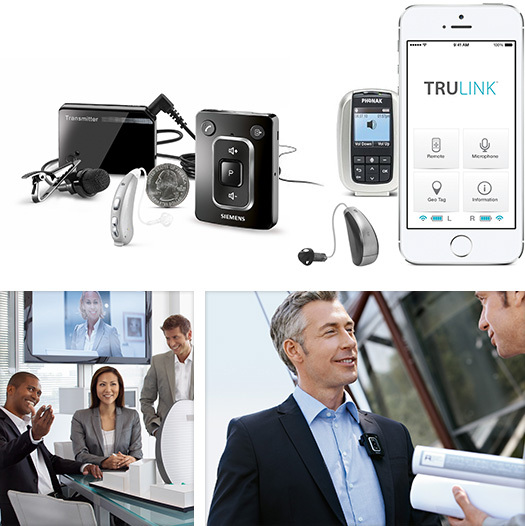 We offer a complete range of hearing aids at various levels of technology and pricing. We can help find the right choice for you and your lifestyle. We provide a full range of comprehensive diagnostic testing & rehabilitation. Dr. Parker has over 30 years experience in audiology. 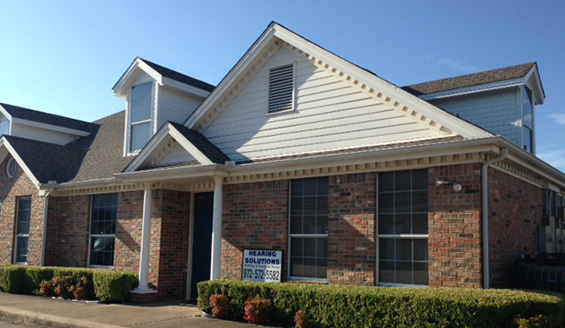 Established in 1997, Hearing Solutions serves the Dallas - Ft. Worth area by providing the highest-level of diagnostic evaluations and treatment for hearing loss for ages 6 months through adults. 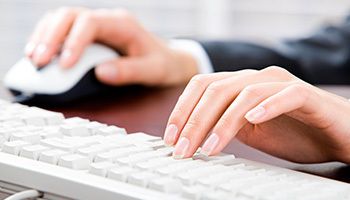 We understand it is important to stay connected to the people and activities you enjoy. We can help you do that by providing information on hearing loss, new hearing instruments, assistive devices, and hearing aid repairs. More importantly, we will listen to your concerns and work with you to find the best solutions for your lifestyle and budget. Hearing Solutions is committed to providing the most comprehensive and professional care for individuals of all ages. We believe that everyone with hearing loss deserve the opportunity to receive competent and reliable hearing healthcare close to home. 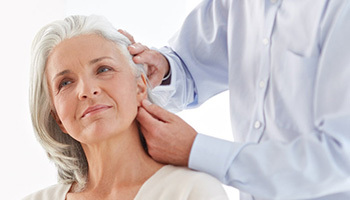 We specialize in the prevention, diagnosis, and treatment of hearing disorders. 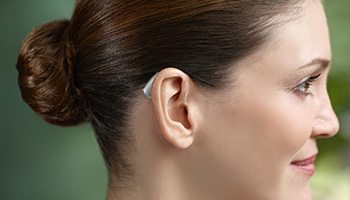 Hearing Solutions also offers the most innovative hearing aid technology at affordable prices. Technology is changing and we are here to help you navigate the many options now available. Do you need Bluetooth for your mobile telephone or a remote microphone for conferences and meetings? Do you need to hear in restaurants or in large groups for business? There are new technologies that can help you understand more clearly so you can participate in the activities of life. Let us help you select the best assistive devices for your specific hearing needs. Hearing Solutions is the only independent audiology facility in the Best Southwest region. This allows us to work with all major hearing instrument manufacturers to assure you are getting the best hearing device for your needs. 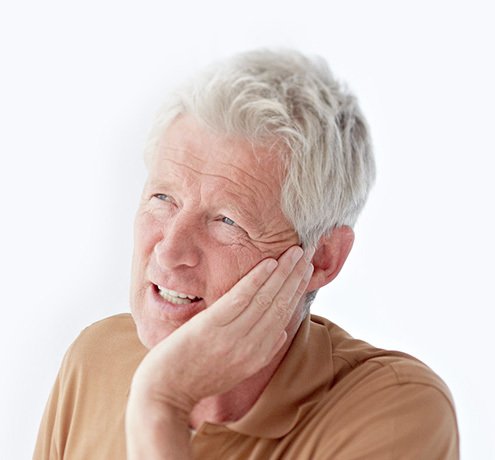 There are new solutions that may provide relief for people with chronic tinnitus. Many people have benefited from tinnitus maskers, devices resembling hearing aids that play a sound more pleasant than the internal noise produced by the tinnitus. Let's work together to discover your solutions! Hearing Solutions is dedicated to bringing you the latest in hearing instrument technology and rehabilitation services. Our ultimate goal is to improve the quality of life for individuals with hearing loss. We appreciate you allowing us to serve you. If you have any questions, please feel free to contact our office and we will assist you in any way possible. Call today to talk with Dr. Parker about your hearing needs.